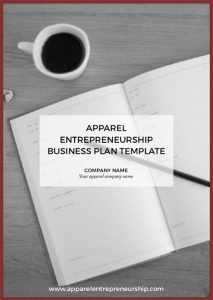 Understanding the glossary and terms used in the apparel business will be an important part of your day to day business. Understanding these words, phrases, and abbreviations will help you communicate with suppliers, materials and the rest of the teams involved in and around your brand. Ad sample Advertising or marketing sample, used in catwalk shows and campaign photoshoots. AF Airfreight; a form of transporting goods. Agent A selling agent is a middleman between the brand and the factory. They charge a fee, around 6-8%, they have factory contacts and help you with the communication and production planning. AH Armhole, often used in tech packs. AQL Acceptable quality level or Acceptable Quality Limit. Bar tack A reinforcement stitch on garment parts, ex to secure belt loops or pocket endings. Base stock A fabric or merchandise that is in demand throughout a season or year. Block A base pattern, often used as the starting point for a new or updated design. A block is a fit/shape that is suited for the target customer. Block or Slope A base pattern from where new styles are created. BOL Bill of Loading. A detailed list of a ship’s cargo in the form of a receipt given by the master of the ship to the person consigning the goods. Often used by factories to prove that goods have been made and sent. BOM Bill of materials. A document containing all material components needed by the factory to make samples. Bonding or Laminating A fabric treatment where materials are fused together for strength or for added functionality like windproofness or waterproofness. Booking Space Means to reserve a production slot in the factory, to manufacture your products. it will help with delivery deadlines. Breaking strength The maximum tension a material can stand before it breaks. Bulk The final order of garments placed in a factory, made after your specifications. Burn test A test done on fabric by burning it, to determine the fiber content. CAD Computer Aided Drafting – Computer software programs that are used for pattern making a and pattern grading. Care Labels or Care Instructions Washing and care instruction label inside of garments. Also states origin or product. Carryover A style that is repeated the next season’s collection. Cartons Packaging used to transport the bulk stock. CB Centre back of a garment. CF Centre front of a garment. CMT Cut, make and trim. Refers to a factory’s capabilities cut the fabric, make the garments and provide the trims. CNY Chinese New Year. Factories in China close for up to 8 weeks, in January and/or February – no production or sampling will happen during this time. Plan accordingly! Color standard A color reference number like Pantone 19-3245TCX or a color swatch, provided by you to the fabric/dye mill. it will be used to make your exact color. Colorfastness A material’s ability to keep its color in all stages: manufacturing, storage, usage. Colorway Different color options in one single design. COO Country of origin. Should be indicated on the care label or somewhere else inside of the garment. Cost sheet A document used to calculate the total cost of a product, including all the materials and manufacturing. Critical path A document used to check the production process and keep a record of samples received. CS Coverstitch. A stitching technique used on stretch materials, often placed at the sleeve ends and hem of a garment. Cuttable width The usable width of a fabric. The wider the fabric, the more pattern pieces you can fit on it for cutting. A narrow fabric is therefore more expensive. DDP Delivered duty paid. It means that the price includes the garments, fabric, and trims, and the goods will be delivered to you, with the import tax paid by the factory. You will probably encounter this when receiving quotes for production. Distributor Middle person or agency between the brand and the retailer. Draping A 3-dimensional process where a person creates the design on a draping form, in material. The drape is later made into a pattern. DTM Dye to match. An indication in a tech pack or spec, to match the trims to the garment color for example. Duty A form of tax, charged by the country from where the goods are being transported to and from. The amount depends on the country and the number of goods. Ease This refers to the extra room in a worn garment. Ease is added for extra comfort, freedom of movement and styling. EBITDA Earnings Before Interest, Taxes, Depreciation, and Amortization. This is one of the most important numbers for you as a business. It’s the amount of profit or loss your company has made, before taxes. Calculated at the end of the year. Estimated yardage The estimated material yardage for a garment. Ex-factory The date the goods are leaving the factory. This is different from the shipping date. Shipping date refers to the date your goods are shipped from the port. Facing A piece of extra fabric, used to reinforce, for example inside of the waistband, pocket entries, sleeve cuffs, and hems. FCL Full container load. When dealing with a shipping agent you can request a full shipping container if you have a lot of goods to ship, which usually means you get a better price. FF Freight Forwarder. A company who can arrange transport for your goods and customs clearance on your behalf. Fit model An employee or freelancer who has the same body measurements as your target customer. The fit model will try on any fit prototypes and samples, so you can achieve the intended fit for that garment. Fit model The live model used in your fit sessions, when you try on your prototypes for checking and adjusting. Fit sample, Sample or prototype A garment sent from the factory so you can check the fit, details, solutions, artworks, and trims. This will be fitted on a model and tested. Normally there are 2-3 samples before Sales Man Sample and bulk production. You will fit and comment each sample so the factory can perfect the design until it is approved by you. Fits or Fit sessions A fit session with a fit model, designer and product developer. The purpose of the meeting is for the model to try on the garments and improve the fit of any samples. The designer will make the changes needed and the product developer will communicate the changes to the factory for amendments. FOB Free on Board or Freight on Board. It means that the cost includes the delivering of goods to the nearest port are included, as well as the costs to manufacture the clothes. It does not include shipping or any other fees such as taxes, duty, and insurance. Forward cover To buy foreign currency in advance to lock in the exchange rate. Garment Dye – A process where color is applied to a garment after it has been made, rather than dying the fabric before it is cut out. Fully-fashioned The shaping points on a knitted garment, like shoulders and elbows. Fusible, Interlining or Interfacing Material used to give a certain are of a garment more body, like a collar or waistband. Garment dyed White or raw material colored garments that are dyed in the finished process. Garment twist or Torquing When a garment is twisting after washing, because of tension in the pattern pieces. GG Gauge. It refers to a knitted materials’ number of needles per inch. GP Gross profit. This means the price the customer paid for the product, minus tax and production/shipping costs. It doesn’t take into account other expenses such as wages or the cost of running a shop. Grading Size grading in between each size in a garment. The step is done to ensure a great fit in all sizes. Grading or grade rules Grading means the difference of measurements between sizes in one garment. This is indicated in the spec sheets or measurement lists. Greige Fabric that has not yet been dyed. The fabric is later dyed in several colors depending on your needs. GSM Grams per square meter. It indicates the weight of a fabric. The weight of a fabric is usually stated on the fabric swatches you receive from suppliers. Gusset A piece of extra fabric inserted in for example at the crotch area, or under the arm to give better movement. GWR Garment worksheet. This can mean a tech pack, but could also mean a one-page document with basic information such as the fabric, trims, delivery date and size range. Hand The hand feel of a fabric. Handloom A fabric sample made by hand to show an example of the finished fabric design or a sample made by an actual handloom. These samples are sent so you can approve the design and color. Header This refers to a fabric swatch, sent as reference form a fabric supplier to a designer, to show the offer. HSP High shoulder point. This is a point of measure often referred to on a spec sheet or a measurement list. Inventory All stocked goods, fabric, trims, finished products. KD Knitdown. A knit fabric that the factory sends you for approval of knit structure, design and layout. Knock-off A copy of someone else’s design. 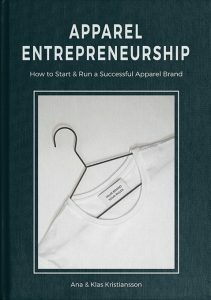 Landed The cost of a garment after everything has been paid for – all materials, the production, delivery and duty/taxes. This is later used to calculate the gross profit to ensure you get the right margins and profit targets. LCL Less than a container load. If you only have a small number of goods to ship, it will be too expensive to buy a whole shipping container. Therefore, your freight forwarder will combine your goods with another customer’s to fill a container and your portion of the goods will be ‘less than a container load’. LD Lab dip. A small piece of fabric or trim, the factory sends for color approval on dye-to-match colors. The lab dip is matched with your color standard and either you approve it or comment on what changes need to be made to achieve the correct color. Lead time The amount of time required for a supplier or manufacturer to complete a product, from the date you place d the order. Line Plan A framework for designers and the product development team, that outlines the entire product range, with SKUs. Lining The second layer of fabric, on the inside of a garment, to hide the interior. LS Lockstitch. The most common stitch, created with a single needle. LSP Low shoulder point. This is a point of measure often referred to on a spec sheet or measurement list. Mark-up The difference between cost price and selling price. Mill Where textiles are woven or knitted. MOQ Minimum order quantity – the minimum amount order placed to a supplier or a manufacturer on a material or a product. MOQ Minimum order quantity. This is the minimum amount of garments per style, a factory is prepared to manufacture, or the minimum amount of fabric trims or labels you’re allowed to buy. You can get around MOQs by paying a surcharge. Natural fibers All fibers that are produced or grown naturally like cotton, silk, wool, hemp. Option Refers to different color options in a single style. Piece dyed The process of dying a material after it has been knitted or woven. POM Point of measure. Specific measurement points for when specing a garment. Pre-production sample PP – This is the last sample to be reviewed before the bulk production. This sample has all the correct materials and trims. After approving a PP, bulk production starts. Production schedule The schedule to make sure a garment bulk production runs on time. Re-Order Products that are reordered by customers. Registration number(RN#) A specific number that brands are required to display in each garment. Retail price The wholesale price plus the markup that the retailers add to make a profit and cover their costs. SA Seam allowance. The amount of fabric left between the edge of the fabric and the stitch line. Sample cut Sample yardage/meter (3-5) sent from the fabric supplier to the brand for making the first sample. Sample Room A place in a factory where protos and salesman samples are made. SF Sea freight. A method of transporting the bulk goods. Size break The ratio of each size that has been ordered. The final order quantity split over all sizes in a single style. Size run or Size Set A sample of each size that the style is available in. Size specification Garment measurements at a specific part of a garment, decided by the brand. SKU Stock Keeping Unit number – a product in a specific size and color. SMS Salesman sample – A sample used by the sales team to show buyers. Salesman samples are made before the bulk production and therefore changes can still be made for the bulk. SN Single needle. A stitch created with only one needle. SNTS Single needle topstitch. A finishing stitch that is done with one needle. It can often be a decorative stitch in a contrast color. SO Strike off – A sample of printed fabric that has been sent for approval. It is to check the quality of the print, the size, and the colors. You can either approve the print and bulk will be made, or you can give the factory improvements to make and they will send another SO. Specs A document with detailed indications on measurements, detail instructions, material, and colors used to produce a garment. SPI/SPC Stitches per inch/stitches per centimeter. The number of stitches per inch/cm can be specified in the tech pack. SS Shipping sample. The last fit sample to be received before all garments are finished and shipped to your warehouse. An SS is required to make sure the garments have been produced as expected. SS SS can also mean side seam. Both uses of SS will be found in tech packs, make sure you are clear of which one you mean. Stock fabrics Fabric that already exists in a suppliers range, this does not include custom fabrics made specifically for you. Stock market An industry market that manufacturers go to. Fabric suppliers display their offer and manufacturers order directly from them. Common in Asia. Stock turnover The number of times a shop’s product stock is sold and replaced. Style A particular design in your range. Tech pack A working document the factory uses to make the garments. It contains detailed information about measurements, fabrics and construction techniques. These are updated by you after your fit sessions to communicate any updates or improvements required by the factory. Tech sketch/technical drawing A detailed drawing of the garment laid out flat, front and back, with details. Technical drawing or Flats A drawing drawn flat, front and back, with details. Used in production to make a garment. Tolerance The measurements discrepancy of a particular part of a garment that is tolerated in a produced style. For example, if a measurement is 20 and the tolerance is 1, a garment measuring 19 or 21 would be accepted. Unit control System to record and control product status. Garments bought, sold, in stock or on order. Usage The amount of fabric used to manufacture a garment. Vertical integration Joint companies that produce and manufacture different things, for example, a fabric mill with a garment manufacturer. Warp The lengthwise thread in a woven fabric. Wash A finishing applied to a fabric or an entire garment to achieve a particular look or performance feature. Weft The crosswise thread in woven fabrics. Wholesale price The price shops buy companies goods for. These products are later sold to end consumer at a retail price. Wicking A fiber’s or a material’s ability to transport moisture away from your body. WIP Work in progress. A document that varies from company to company, but often includes all of the styles currently going through production and the stage they’re at. YD Yarn dye. A coloring method where the yarn is dyed before weaving or knitting a material, resulting in much richer. Yoke A shaped pattern piece that forms a part of a garment, usually fitting around the neck and shoulders. You can download the glossary as a PDF in the Member Zone. Not a member yet? Learn more here.